Quarterback Kyle Williams will lead Vista Murrieta against Canyon High in a football playoff opener on Friday. 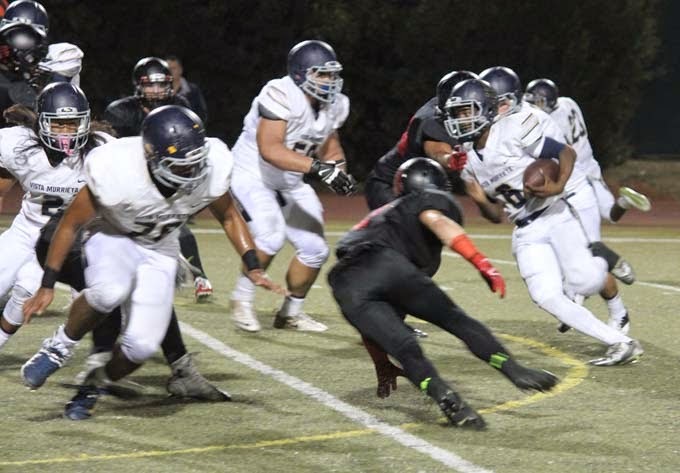 Southwestern League football champion Vista Murrieta High School will be at home for a 7:30 p.m. West Valley Division playoff opener against Canyon High on Friday. The Broncos (8-2) finished off a perfect league season with a 53-14 victory over Temecula Valley last week. They have won 30 consecutive league games over the last six seasons. Canyon High of Canyon Country is 5-5 overall, finishing third in the Foothill League.